Be it any religion, any culture or any civilization, flowers play a very important role in prayers and worship. Bouquets, garlands, and in a variety of other forms; flowers adore the altar, the photograph, the mausoleum or the deity. Roses, jasmines, lotuses, marigolds, lilies, and the list can go on. In certain traditions, specific flowers are prescribed for specific forms of worship too. Thus, flowers are such an integral part of religious and spiritual practices that one can never imagine any ritual or practice without the use of flowers in some form or the other. Specifically, in Bharatiya culture, one would never find any temple without the idol bedecked with flowers and without a number of flower vendors lining up the entrance of the temple. Buying flowers and offering them to God, turns out to be a lively experience for the devotee and a livelihood for the vendor! However, these are only the external modes of worship and prayers. What are the flowers that we truly need to offer to God? Would we become deserving of God’s Grace only by spending some money and buying flowers to adorn Him? Would we advance spiritually by plucking flowers from the plants and offering these to Him in worship? Would God, in whatever name or form, be anxiously waiting for flowers to be offered to Him by His devotees? If God is omnipresent, omniscient and omnipotent, is He not present in the flowers? Is not the fragrance of the flowers an expression of His very own Self? Are not the infinite shades of colours of the flowers His very own manifestation? If yes, then why would He need these? If not, then what type of God do we believe in, who is so limited and incomplete that He desires for flowers to be offered to Him? Analyzing thus, we would realize that all these forms of worship and prayers are for our own satisfaction and not for satisfying God. These forms of worship and prayers give us joy, delight and provide the ambience for us to raise our consciousness and turn within to comprehend Him as our true Self! Thus, flowers do have their due place in prayers and worship, but one should not stop with that. In this context, Bhagawan Baba states that He does not want the worldly flowers to be offered to Him; flowers that would fade and dry away within a few hours or a day. He wishes that we offer Him flowers that remain fresh and colourful forever! Where are these flowers available? What are they? It is precisely about these flowers that this blog post talks about. Bhagawan asks us to offer eight flowers to Him. 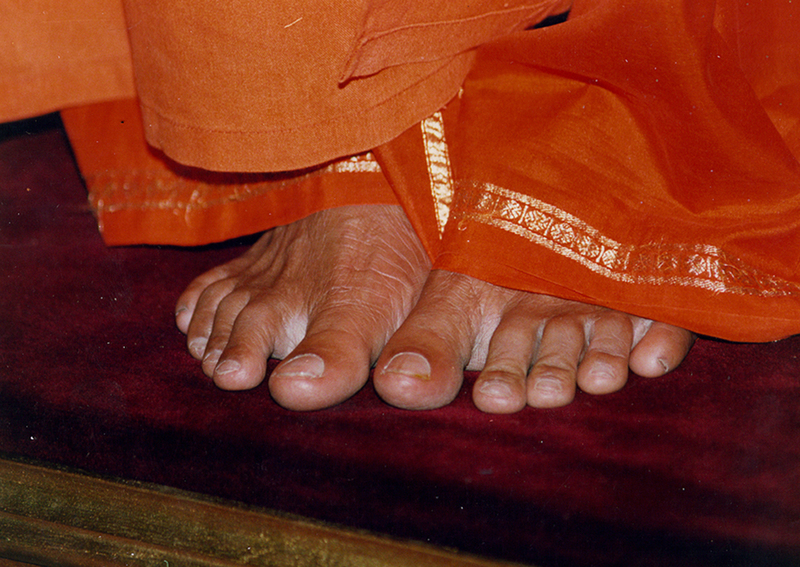 He calls these the Ashta Pushpam (Eight Flowers). This blog post lists all the eight flowers and presents Bhagawan’s explanation for each of these. 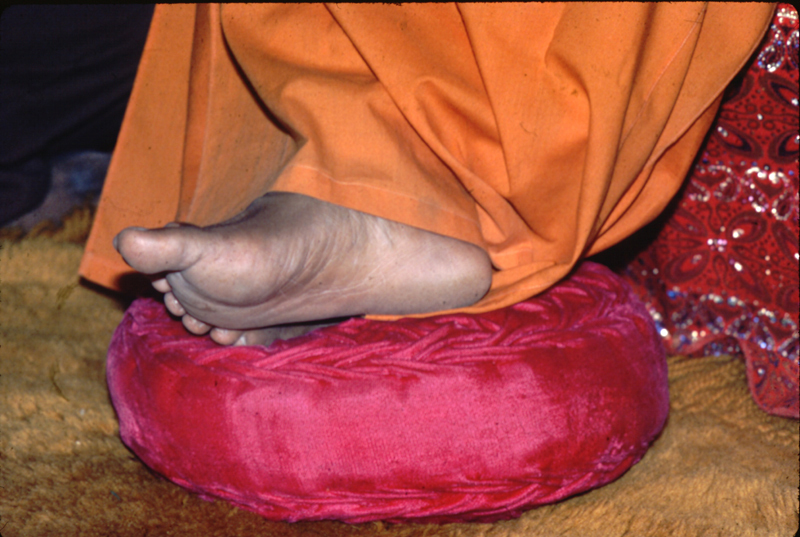 The twelve audio extracts in this posting are taken from the Discourse delivered by Bhagawan in the year 2000. Clip-1 gives an introduction to the eight flowers to be offered to God. In Clip-2, Bhagawan explains about the first flower of Ahimsa (Non-violence) to be offered to God. In Clip-3, Bhagawan describes the second flower of Indriya Nigraham (Sense-control). Clip-4 elaborates on the third flower of Sarva Bhoota Daya (Compassion towards all Beings). In Clip-5, Bhagawan illustrates the quality of compassion through the well known story of Abou Ben Adhem. 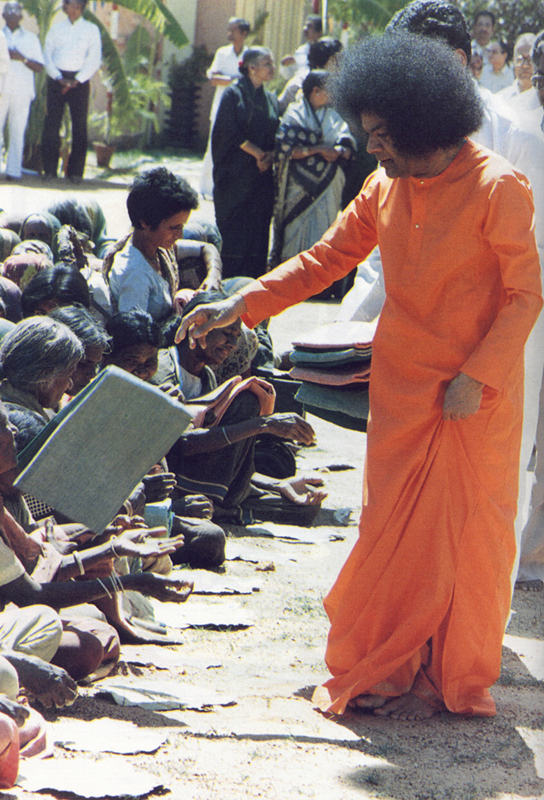 In Clip-6, Bhagawan states that Compassion and Service to others is the highest among all the nine paths of devotion. Clip-7 explains about the fourth flower of Kshama (Forbearance). Clip-8 highlights the fifth flower of Santhi (Peace). 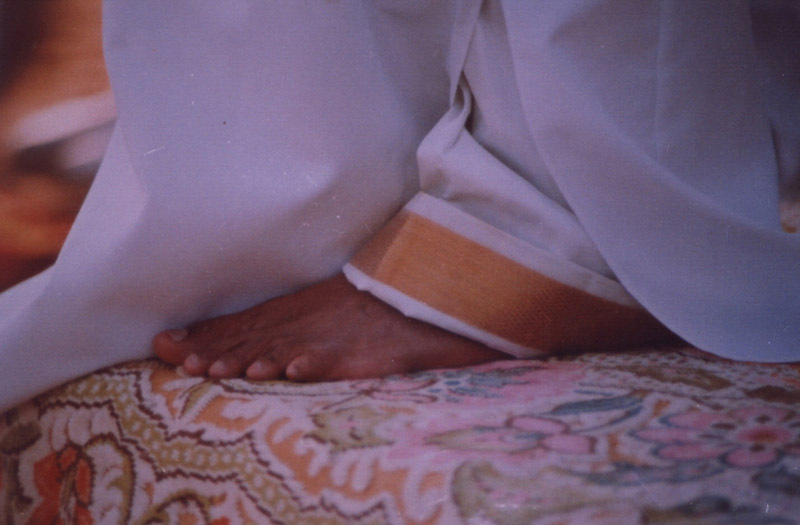 In Clip-9, Bhagawan speaks about the sixth flower of Tapas (Penance). Clip-10 is about the seventh flower of Dhyanam (Meditation) and Clip-11 is finally about the eight flower of Sathyam (Truth). In the last Clip-12, Bhagawan reiterates that God does not want an offering of flowers that will dry and fade away. He wants us to offer flowers that will remain ever fresh. Embodiments of Love! God does not expect from you the Shodashopachaara (16 forms of ritualistic worship) or the Ashtadasha Puraanam (Knowledge of the 18 Puraanaas) He wishes only for a few sacred flowers. The first flower is Ahimsa (Non-violence). It is very important. The second flower is Indriya Nigraham (Sense control). Sarva Bhoota Daya Pushpam (Compassion to all the beings) is the third flower. The fourth flower is Kshama (Forbearance). The fifth flower is Shanthi (Peace). The sixth flower is Tapas (Penance). The seventh flower is Dhyana (Meditation). The eighth flower is Sathya (Truth). It starts with Ahimsa (Non-violence) and ends with Sathyam (Truth). Therefore, when the beginning and the end meet, the life of the human being is redeemed. The very first flower is Ahimsa (Non-violence). Ahimsa is to not hurt or cause pain to any life or being, either in thought, word or deed. But some doctors use the knife and perform an operation. Many wonder whether this does not amount to violence. No. No. To relieve the existing pain (of the patient), the doctor uses the knife and cuts the stomach. Thereafter, he gives (the patient) happiness, joy and health. This amounts to helping only and not hurting. It is non-violence only and not violence. Some more say, “You eat all these vegetables. When you cut these vegetables, they must be feeling so much pain”. What we do does not affect these vegetables. Trees and vegetables do have life. But they do not have a mind. Because they do not have a mind, they do not feel the pain. They do not have wisdom either. If you cut a vegetable/fruit, there will be some sap oozing out. Looking at that, many feel that the vegetables/fruits are crying and shedding tears. This is natural water and not tears of sorrow. Sorrow comes only when there is mind. Delight /happiness is experienced only by the one with a mind. Humans have a mind. Animals and birds also have a mind. Germs and insects also have a mind. Trees and vegetables have life but do not have a mind. Therefore, the one without mind will experience no pain even when put to suffering. The second flower is that of Indriya Nigraham (Sense-control). Any Sadhana (spiritual exercise) done without exercising control of senses, goes in vain. How do we control the senses? First and foremost is the tongue. The tongue has got used to many tastes. We have to make an attempt to control such a tongue. “O Tongue, from the time you have been born, you would have eaten so many bags of rice, you would have eaten so many bags of wheat, you would have eaten so many bags of snacks, you would have eaten so many types of vegetables, you would have eaten so many delicacies; still are you not satisfied? Chhee (what a shame), what is the use of this life that is bereft of satisfaction? You have to control the tongue and the taste. You have hunger and you have to eat. But, Bhikshaannam Deharakshaartham (You need food only to protect the body). You must eat so as to protect the (physical) body, not for the sake of taste. Therefore, “O tongue, give up (sacrifice) this taste. Eat for the sake of hunger. Provide strength (nutrition) to all the sense organs. This (Sense-control) is the second flower. Ahimsa is the first flower. The second flower is Indriya Nigraham. This is very important. We can achieve anything with control of senses. The senses are responsible for all the conflict, restlessness and lack of peace in the world today. In fact, we should teach a lesson to each of the sense organs. O ears, you are ready to listen to vain gossip and tales. But you are not ready to listen to matters of spirituality – Telugu verse. O ears, you have been listening to so many things. You listen to all unnecessary things. You listen to all vain gossip of the town. You listen to all bad things, which are not good for you. You listen to all that comes on the radio. You listen to all that comes on the video. But what is the benefit you have got from all this? Chhee (what a shame), O ears, do not give in to such actions. Do not be ready for this. Listening to others’ matters, you are spoiling your heart. All that you hear gets imprinted on your heart. All the scenes that you see, get imprinted on your heart. Therefore, you are spoiling your heart. Today, the whole world is polluted. Taking in all this pollution, you are polluting your heart also. You are making your mind impure. When your mind is impure, what can you experience? Everything is useless. Yesterday, I spoke to the devotees from Visakhapatnam. Our heart is like a pen. As is the ink in the pen so will be the lines and the writing. The colour will be the same as the ink. Therefore, the human heart is like a pen. It writes all the worldly matters and gets imprinted there. You need to fill this pen (of the heart) with the ink of love. Then, all your thoughts, all your words and all your actions will also be full of love. Whatever you write with this pen (heart) of love, will be full of love only. It will have the same colour. Thus, we must fill our hearts with love and lead a sacred life. The third flower is compassion towards all beings. We should not hate any being. Bhagavad Gita calls this, “Adveshtaa Sarvabhootaanaam” (devoid of malice towards anyone). It is not just absence of hate, you must also not have too much interaction (connection) with others. Live in love with all. This is the flower of compassion towards all beings. The flower of compassion towards all beings is very significant. Not just in Bhaarath, but in all nations, the flower of compassion towards all beings is very important. Boys know this (story) very well. There was a person by name Abou Ben Adhem who was always engaged in service. He would go to the bazaar and serve people without legs, eyes and other physically challenged people. He would return exhausted, late in the night, to his home. This is the flower of compassion towards all beings. One day, he returned home very exhausted. He saw a woman sitting and writing something. She was not an ordinary woman. She was an angel. After a while, he got up and asked her, “Mother, who are you? 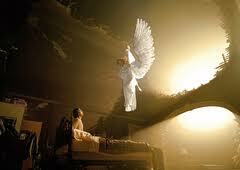 What are you writing?” She replied, “I am an angel. I am making a list of all those who love God”. Abou Ben Adhem asked, “Is my name there by any chance?” She replied, “Son, your name is not there here”. “Very happy” said Abou Ben Adhem. The angel disappeared and he went to sleep. The next day, again when Abou Ben Adhem returned home, he saw a woman sitting there and writing something. Recognizing her, he asked, “Mother, what are you writing today?” She replied, “Son, today I am making the list of all those who are loved by God. Yesterday, I was writing the list of people who loved God. Today, I am writing the list of people who are loved by God.” Abou Ben Adhem asked, “Is my name there in this?” She replied, “Other than your name, there is no other name here”. Thus, service to others is the highest. Nine forms of service have been prescribed in this world. But among these nine types of devotion, service is the most important. Shravanam, Keertanam, Vishnu Smaranam, Paadasevanam, Vandanam, Archanam, Daasyam, Sneham, Atma Nivedanam. Among these nine forms of devotion, compassion towards all beings is the most important. Abou Ben Adhem was constantly engaged in serving other people. It is this eservice that earned him the first name in the list. That is why God started loving him. God loves all. Love is His very Form. But God comes forth and specifically loves those who show compassion towards all beings. Therefore, we must be apt in this art of service. The fourth flower is very important. The flower of forbearance is very special and significant. Pandavas suffered so many troubles at the hands of the Kauravas. Their consort Draupadi was humiliated. But Dharmaja maintained forbearance in all circumstances. That very forbearance protected the Pandavas and set them as an ideal example for the entire world. Therefore, the flower of forbearance is very dear to the Lord. Only when you offer the flower that is dear to the Lord, He will be happy and will confer the boons on you. What is the use of offering any number of flowers to God, if you do not offer that flower which is dear to Him? The other flowers are those that will dry away, fade away and wither away. But the flowers that must be offered to God are the flowers of forbearance, compassion towards all beings, sense-control and non-violence. These four flowers are very important. The fifth flower is Shanthi (Peace). In spite of facing any number of difficulties, in spite of facing obstacles, in spite of any objections, we must observe peace. When you have peace you will be graced with compassion. To be deserving of God’s Grace, you need to have peace (patience). Tyagaraja had to face so many difficulties. Potana had to face so many difficulties. So too, Tukaram and Shivaji. But they were able to resist all difficulties and observe peace (patience). The one who observes peace (patience) will be the recipient of God’s Grace in bounty. That is why, Saint Tyagaraja said, “Shaantamu Leka Saukhyamu Ledu” – Without peace (patience) there is no happiness. We need physical, mental, worldly and practical peace. But how can we earn this peace? In the outer world there is no peace. There is no peace in the material comforts or in the external objects. This peace is verily our own form. Therefore, this flower of peace has to manifest from within us and cannot come from without. We must be able to face all the difficulties and challenges that come our way and must move forward. There will be so many difficulties in this world. There will be so many challenges in this physical world. We must not take note of all these. The human birth has been given to overcome all these. The human birth has not been given for mere comfort and pleasure. It is not for experiencing worldly happiness. We are anyway experiencing all these. Animals and birds are also enjoying these. But this is not what we need to experience. We need to experience the real peace. That is the very nature of our heart. We should be able to achieve that peace which emanates from the heart. Thus, the flower of peace is the fifth one. The flower of Tapas (Penance). What is Penance? Does penance mean going to the forest, partaking of roots and tubers and remembering God? This truly amounts to Tamas (sloth). What is real penance? Penance means being ready for anything. It means exercising control over the senses. Penance means controlling the agitation that arises in our thought, word and deed. It means putting a check on the disturbances that arise in our Satva, Rajas and Tamas qualities. We must have equanimity in all states of Satva, Rajas and Tamas. We must continuously focus our mind on God. The one with such a heart is a true human being. Hrut + Daya = Hrudaya. True penance means a human being must be filled with compassion. It is not merely wasting time or misuse of time. True penance means uniting the three. He is a true Yogi. Manas Ekam, Vachas Ekam, Karmanyekam Mahaatmanam (He is a noble soul who has unity between his thought, word and deed). Neither penance, nor pilgrimage, nor scriptures, nor meditation can help you cross the ocean of the world. Service to the noble ones alone can help you cross the ocean of Samsaara (world). True penance means uniting the three Gunas (qualities). You may get anger, but you must control it. You may become very enthusiastic, but that has also to be controlled. You may become very happy but that also must be put under check. Sorrow may come but that also must be controlled. We must exercise the spirit of equanimity in times of both sorrow and joy. That is true penance. You may do any work, you may engage in any service but do not entertain desires. Penance is the state bereft of desires. The seventh flower is that of Dhyanam (Meditation). What is meditation? People think that closing the eyes, sitting in the lotus posture and thinking of the Paramaatman (Supreme Being) is meditation. This is a physical and worldly type of meditation. This is meditation done in a worldly way. This is necessary. But to what extent? It is necessary until you get Paripurna Siddhi – total and complete attainment. (But true) Dhyana (meditation) is not this. Meditation means to merge the mind in God. When water mixes with milk, you cannot separate water from the milk. In the same way, when the principle of love merges in God, it cannot be separated from God. When iron is put in fire, the whole iron becomes fire itself. It burns wherever you touch it. Therefore, our principle of love must merge in the Love of God. The Vedas call this as, “Brahmavid Brahmaiva Bhavati” (The knower of Brahman becomes Brahman Himself). The two should become one. The iron and the fire should not be separate. They should become one. Our mind should become one with the feeling of God. Just performing meditation in the morning and evening and uniting with God for that brief period is not meditation. You must think of God always and at all times. While doing any work, you may focus on the work, but keep this Love (God) as the undercurrent. This is true meditation. Meditation is not remembering God by setting aside a limited period of time. This would amount to only part time devotion. What is needed is full time devotion. Therefore, meditation is not sitting for a brief period in the lotus posture and remembering God. In that case, God’s Grace will come for a moment and then go away. Once God’s Grace comes, it should stay permanently with you. We should pray so as to (be able to) meditate truly and continuously. The eight flower is Sathyam (Truth). This is very important. The creation is born out of Truth. The creation exists because of Truth and the creation will ultimately merge in Truth. Therefore, Truth is a very important Sadhana (spiritual exercise). The Creation emerged out of Truth, is sustained in Truth and finally merges in Truth. Is there any place where there is no Truth. It is the unsullied pure Truth that we see everywhere. Truth is that which does not change with time. It is always ever existent. Everything may vanish, but the Truth will always remain. That Truth is God. Therefore, Truth is God, Live in Truth. We must live in Truth and end our lives in Truth. This Truth is the eighth flower. God will not accept your flowers which fade and dry away. The priest gets so many types of flowers and performs worship. “O priest, is this what you have learnt in all this time? You are getting lorries and lorries of rose flowers, lorries and lorries of jasmine flowers and other fragrant flowers. What is the use of getting all these? The flowers you get today fade away tomorrow. It is not these flowers that I want. I want the flower of peace, the flower of love. These will not fade and dry away. You perform worship with such flowers”. Therefore, when we worship God with these flowers, He will lovingly accept these. God will not expect any other type of flowers. 01-Do you know what constitutes the Shodashopachaara (16 forms of ritualistic worship)? Can you list them out with a brief description for each? 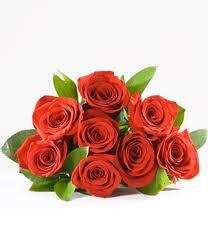 02-What are the eight flowers that need to be offered to God and that would please Him? 03-Does not cutting open a patient’s body by the doctor, with a surgical knife, amount to violence?? 04-Does not plucking and cutting fruits and vegetables amount to causing pain to them and thus amount to violence? 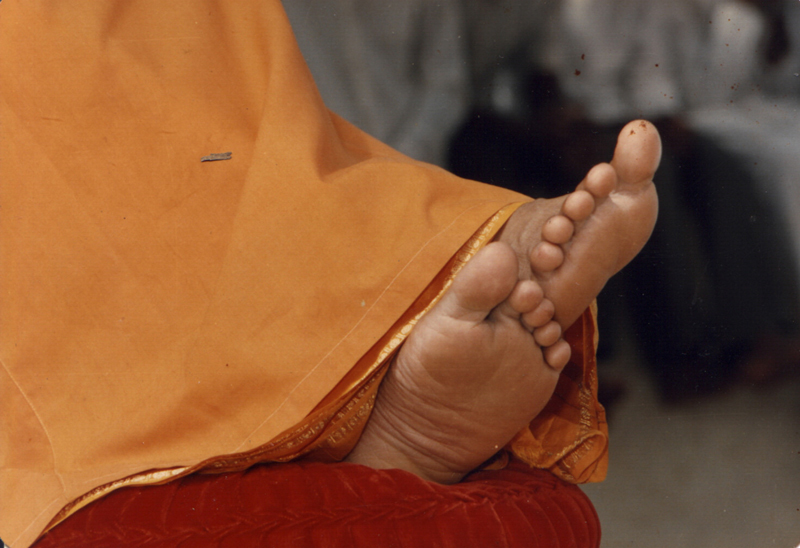 05-How does Bhagawan ask us to advise our tongue so as to exercise control over our taste? 06- What is the meaning of the phrase, “Bhikshaannam Deharakshaartham”? 07- How does Bhagawan ask us to advise our eyes so as to exercise control over our sight? 08- How does Bhagawan ask us to advise our ears so as to exercise control over our hearing? 09-What is the analogy that Bhagawan draws between the human heart and the writing pen? 10-What is the meaning of the phrase, “Adveshtaa Sarvabhootaanaam”. Which flower among the eight flowers does it talk about? 11-Narrate briefly the story of Abou Ben Adhem. What is the central message of this story? 12-Bhagawan states that service is the highest among all the nine forms of devotion. 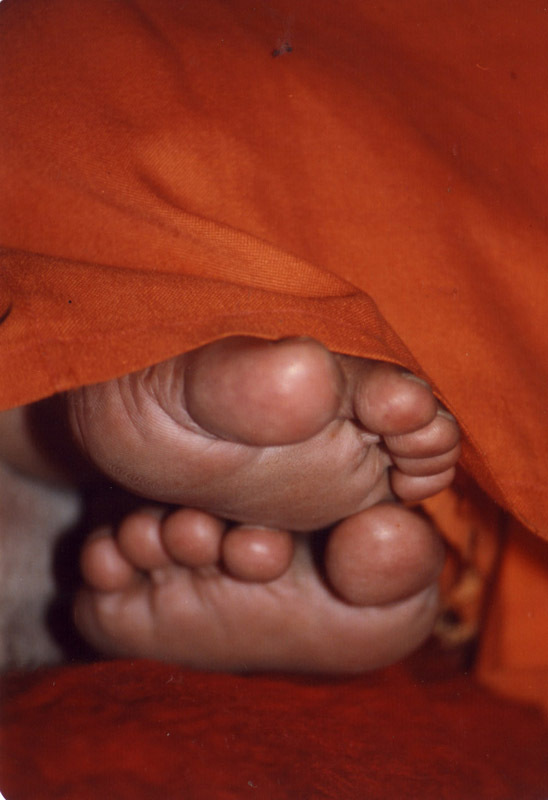 List the nine forms (paths) of devotion. 13-Whose example does Bhagawan give to illustrate the fourth flower of Kshama (Forbearance) that we must offer to the Lord? 14-Talking of the fifth flower of Santhi (Peace), Bhagawan gives the example of four great and noble personalities who stand as role models of peace for the entire world. Who are these four personalities? 15-How can we earn Santhi (Peace)? 16-What is true Tapas (Penance) according to Bhagawan? 17-What is the meaning of the phrase, “Manas Ekam, Vachas Ekam, Karmanyekam Mahaatmanam”? What is the similar opposite phrase that Bhagawan usually speaks of, immediately after this phrase? 18-What is the way to cross the ocean of Samsaara (world)? What is the Sanskrit verse that Bhagawan gives in this context? 19-What are the four emotions that we need to control as part of our penance? 20-What is the meaning of the verse, “Sukha Dukhe Same Kritva, Labha Labhou Jaya Jayou”? 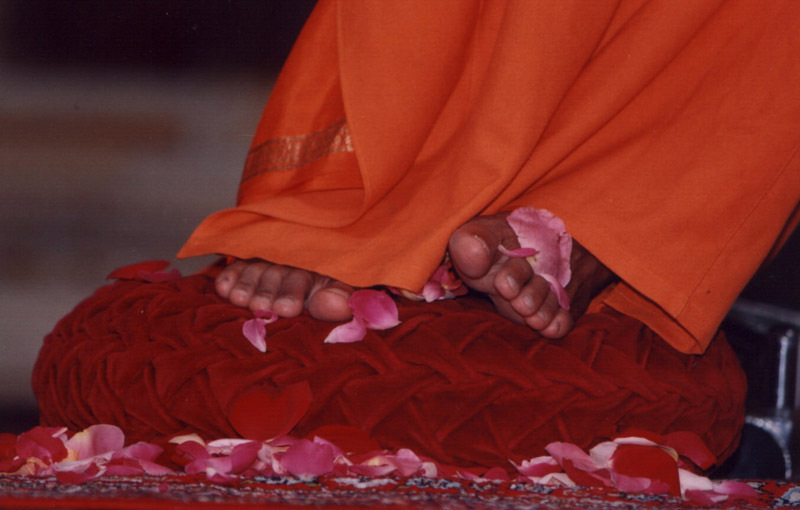 21-What is the worldly type of meditation that Swami talks about? How long does one need to practice this worldly type of meditation? 22-What is true Dhyana (Meditation)? 23-How does Bhagawan explain the Vedic dictum, “Brahmavid Brahmaiva Bhavati” using the analogy of iron and fire? 24-What does Bhagawan say about the eight flower of Sathyam (Truth)? 25-What is the meaning of the phrase, “Trikaalabhaajyam Sathyam”? In this context, one may recall that Bhagawan has talked about the three types of Truth – Nijam, Satyam and Ritam. Explain these three types of Truth?